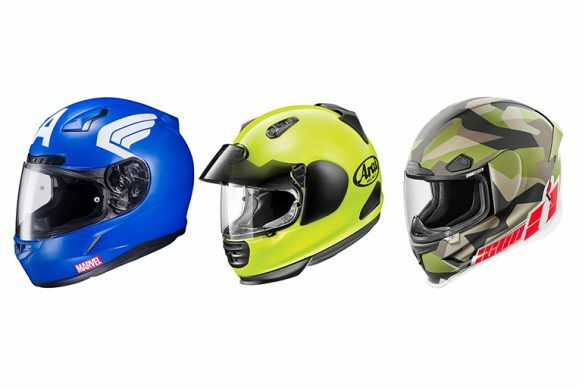 This motorcycle helmet sale over at Cycle Gear is a big one, including a ton of our favorite helmet brands including Arai, Bell, HJC, Shoei, and many more. 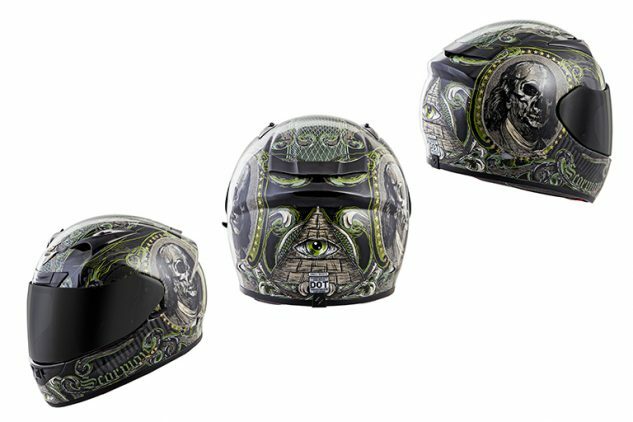 Literally hundreds of offerings are up for grabs for discounts ranging from 15% to over 60% off, covering a healthy mix of styles from full-face street helmets to helmets for motocross and ATV/UTV riders as well. Solid colors, race replicas, and bold graphic helmets are all part of the equation as well, and a quick skim revealed that a number of HJC’s Marvel Comics series helmets (Captain America, The Punisher, Iron Man, and others) are up for grabs for a reasonable 20% off. If you missed the info on the Revzilla End of Season Clearout sale we covered a few weeks back (it’s still on! ), here’s another chance to save big on new gear. Whether your tastes are conservative or outlandish, you’re going to find at least a helmet or three that will suit your tastes and budget. On the more ‘out there’ end of the spectrum, we couldn’t help but love the Scorpion EXO-R710 Illuminati helmet that’s currently on offer for 40% off ($125.97).